Description All beetles have hard outer wing cases, known as elytra, and a hard upper body, called a carapace. The elytra cover the membranous flight wings and form a straight line down the back. Beetles all have chewing mouthparts, powerful jaws, and antennae of up to 11 segments. There are more than 400,000 known species of beetle, and they live diverse lifestyles. Most tend to make homes on plants, but other can burrow and tunnel underground or in trees. Some species are also capable of swimming and spend most of their time in or around water. Beetles can live in just about every environment, with the exception of the northernmost Arctic, as the weather proves too extreme for the insects to thrive. A female beetle will lay eggs wherever she can find a good food source, such as in soil and wood, under bark, on leaves, or in carrion. In North America, female beetles, depending on the species, can lay hundreds of eggs after mating. All of these eggs have a smooth appearance. Depending on the species, they can take weeks or years to grow into adult beetles. These eggs hatch into larvae or grubs. Beetle larvae are wingless and look similar to worms or caterpillars. They already have up to six simple eyes on each side of its head and mouthparts for eating - and they are voracious eaters, consuming anything that appeals to them. The larvae then shed their skin to become pupae and grow into adults. When they emerge, these adult beetles look soft and pale, but soon develop a carapace, elytra, and pigmentation. Depending on the species of beetle, the amount of food available, and the environment, it can take weeks, months, or even years for an egg to grow into a fully formed adult. After that, their lifespans also vary massively, ranging from weeks to decades. Why do I have beetles? Canada has more than 9,000 species of beetles, including carpet beetles, powder post beetles, sawtoothed grain beetles, spider beetles, and tiger beetles. Seeking food and shelter, they usually invade your home through cracks in the foundation or gaps around window frames and doors. They are also known to hitch a ride indoors in firewood, lumber, furniture, potted plants, or packages being delivered. Sometimes owners unknowingly bring in already infested products. While many beetles like to avoid the cold weather by setting up home on your property, they have very varied tastes when it comes to food. Some species of beetle are attracted by healthy trees, wooden structures, and wood products,, while others prefer carpet, furs, leathers, wools, and silk, or crops and stored food. How worried should I be about beetles? Some species of beetle can be beneficial, eating garden pests like aphids. However, others can be extremely destructive to your home or business. Both larvae and adult beetles can damage furniture, carpets, decor, packaged goods, and clothing, as well as leave behind unsightly clues of their infestation. 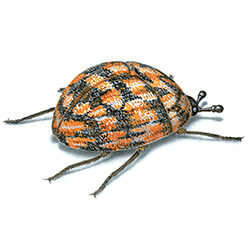 Some beetles deposit dusty excrement or brittle, skeletonized shells when feeding, while others leave grains tinted red. Most larvae leave behind brown, shell-like cast skins when moulting. Because there are so many species of beetle, all with their own reasons for invading your home, you need specialist knowledge to eradicate them and keep them from returning. To truly stop an active beetle infestation, you need a professional pest control service. How can I prevent beetles invading?